There’s no surprise that many Egypt tours have a focus on the amazing history of the country. But that’s not to say it is only a history buff’s place to visit. There are lots of things from more recent times that are worth seeing, amazing landscapes and the best modern features. The Ancient Egyptian civilisation is one of the most famous in history with its pyramids, mummies and amazing statues. There is still a great deal to see across Egypt even so many centuries after the civilisation ended and some locations are must-see places when you visit Egypt. From the majestic pyramids of Giza, just outside Cairo, to the temples along the Nile, the past is everywhere in Egypt and no trip there would be complete without seeing some of it. Instantly recognisable, the Giza Pyramids are the best-known symbol of Ancient Egypt and this day tour allows you to see them as well as the Egyptian Museum and also the Khan El Khalili Bazaar. The Cairo museum is home to the treasures from the tomb of Tutankhamun as well as over 120,000 other art and historical wonders. 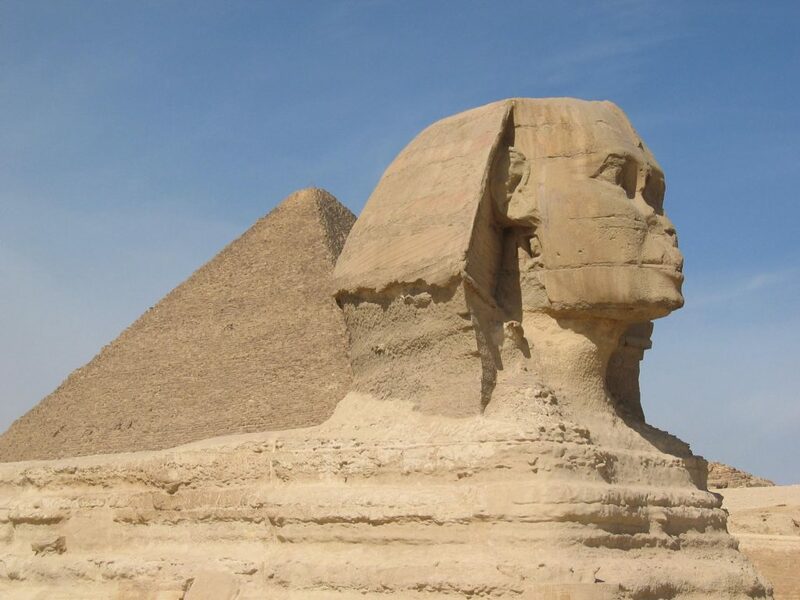 You can also see the Great Sphinx which stands guard before the pyramids. The Valley of the Kings is one of those must-see Egyptian highlights and contains the burial place of many of the best-known kings and queens of Ancient Egypt. This day tour includes the Temple of Karnak, the Colossi of Memnon as well as the impressive temple of Queen Hatshepsut. The tour includes lunch at a restaurant in Luxor and all entry fees. The rock cut temples of Abu Simbel with their giant statues standing guard are definitely on the list for those interested in Ancient Egypt – and anyone who loves a great photo opportunity! This eight hour tour includes the Great Temple of Ramses II and the temple of Queen Nefertari as well as the famous mural of Ramses II at the Battle of Qadesh. One of the most important developments in understanding the hieroglyphic language of Ancient Egypt was the Rosetta Stone. And this day tour includes the chance to see the stone in the museum where it rests, in the town of the same name. The tour also includes the chance to visit the island of Abu Mandor, see where the River Nile meets the Mediterranean Sea and admire the many traditional Islamic monuments in the area. Even on a short holiday to Egypt, there are plenty of day trips you can take to see the best in the country. And if you happen to enjoy something beyond those amazing pyramids and temples, these are the kind of tours that will appeal to you. Cairo is the capital of modern Egypt and a historic city with sites to see from various different ages. This day long tour is the best way to see the main sites and includes Old Cairo and the Khan el-Khalili bazaar. It includes a visit to the Cairo Citadel for amazing views over the city and other sites such as the Hanging Church and the Ben Ezra Synagogue. Mention Egypt and most people will think desert but there’s also an extensive coastline with some great places to visit and activities. This day tour is a perfect example and gives you the chance to swim with wild dolphins in the open sea as well as snorkelling to explore the coral reefs just off the coast. Hop on the Banana Boat for a ride, spot the dolphins and enjoy a delicious lunch on the cruise section of the tour. It includes a snorkel guide and all equipment. The Bedouin are the occupants of the desert and have maintained their way of life for centuries. This tour lets you glimpse what that life is like with a three hour tour on quad bikes to explore the desert and visit a Bedouin village for a cup of black tea. You also get the chance to ride a camel! See the amazing world under the Red Sea with this two hour trip from Hurghada in a semi-submarine. This trip lets you see the amazing and colourful fish that live in the sea amid the coral reefs and also includes 40 minutes snorkelling. Alexandria was the city originally built by Alexander the Great and still contains buildings from that time. This day tour includes the famous Library of Alexandria and the Lighthouse, one of the Seven Wonders of the Ancient World. You can also take a walking tour through the old city centre and visit the oldest church, St Mark. See life in a Bedouin village in the Egyptian desert with this 7 hour tour – and get the chance to ride a camel too! The tour includes a buffet dinner with the Bedouins and an evening stargazing in the desert. Includes a tour guide, meals and pick up from Sharm El Sheikh. When you are staying in Egypt for a slightly longer period, then tours that last two, three or more days can be a great way to see a host of locations while being with an experienced tour guide. Leaving from Cairo, this two day tour lets you take in some of the most stunning locations in Egypt. You can see the Bahariya Oasis, the unique views of the Crystal Mountain and also see the White Desert National Park Museum. Overnight accommodation is in Al Haiz before visiting the Mummies Museum at the Bahariya Oasis. Transports are by private 4×4 and meals are included in the price.